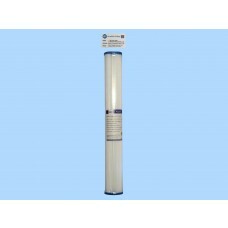 20 inch jumbo water filters come in a variety of media forms. The media or internal component is customised to the water issue that is being addressed. So for example pleated paper filters are for the reduction of sands, sediment and mud. Carbon filters are for taste, smell, discolouration and can greatly assist with low level chemicals in the water like sprays. 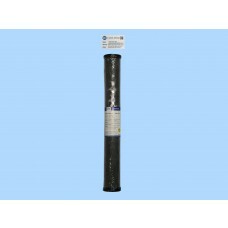 Melt blown filters are generally very dense and can assist with very fine floating particles. 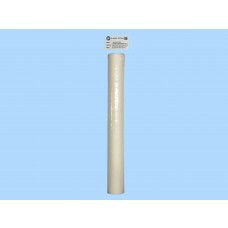 There are many different filter types many of which are available on this website. If you are unsure of the water problem that you have please talk to us or have your water tested. For a small price a reputable laboratory can test your water and advise what its contents are. With this report we can customise a water filtration system that will address those concerns. Specifically in relation to the difference between 10 inch and 20 inch filters, a question we are often asked. The ability to process and clean the water is no different based on the filters physical dimensions. However because obviously a 20 inch filter has twice the surface area to that of a 10 inch filter it will last approximately twice the length of time. So if you do not wish to change your filters bi annually then by utilising 20 inch filters you can change them annually. We generally find that small commercial business, restaurants and café’s and other food establishments who have a larger water usage use these larger filters. If you are in doubt as to your requirements for 10 or 20 inch filters either type or size just give one of our friendly staff a call.